I have been waiting for this! 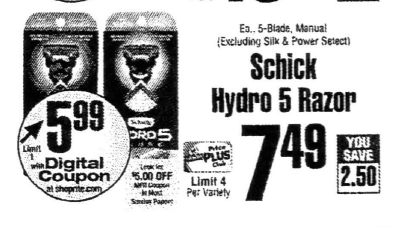 Starting Sunday 6/3, ShopRite will have Schick Hydro 5 System Razor on sale for $7.49. 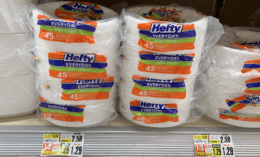 We are expecting a $1.50/1 Schick Hydro ShopRite eCoupon this upcoming Sunday. 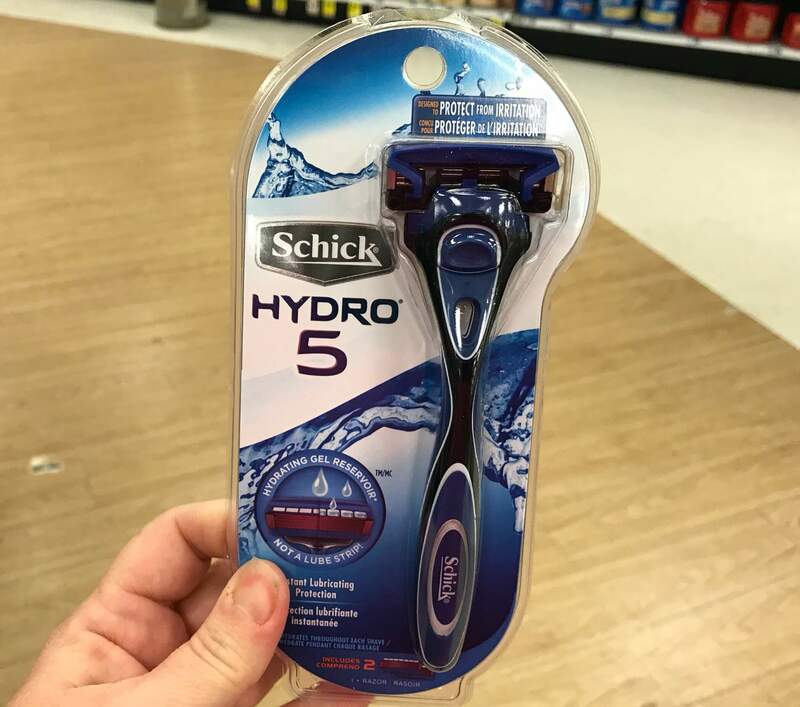 Although this $3/1 Schick Hydro or Schick Quattro Titanium* Razor or Refill, ShopRite eCoupon is no longer available to clip, it has not yet expired. We can score this for FREE +$0.51 Money maker after stacked offers.